It’s all fun and games until someone discharges in the water. 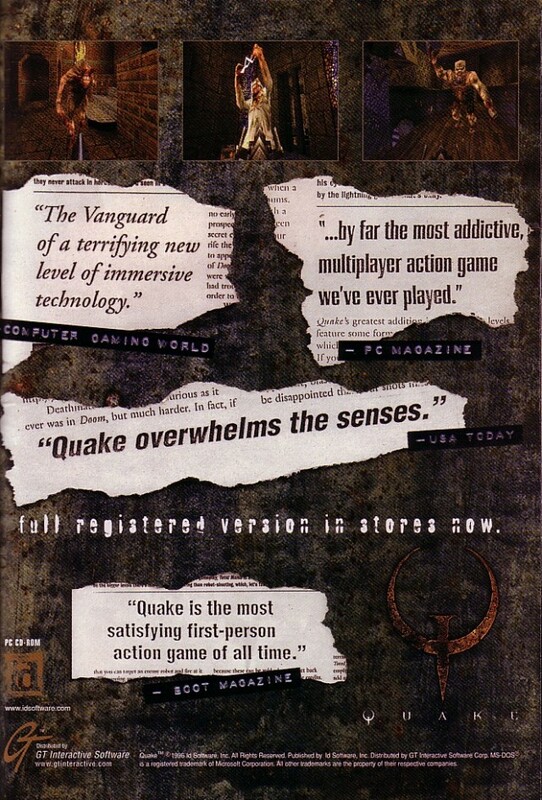 Quake was a game changer on its release in 1996. It marked the end for the faux 3D first person shooter, bringing in full 3D polygon characters and weapons. Quake was also extremely mod friendly, helping many young programmers, artists and designers make their way into the game development industry. Some mods, like Team Fortress went on to become full commercial products in their own right. Quake also proved to be a powerful force behind the speedrunning movement, thanks to the Quake Done Quick series.